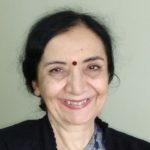 Viney Kirpal is Founder, GREAT Foundation and former Professor and HOD/HSS/IIT Bombay where she taught English from 1974 to 1997. Those who wish to support her project may write to Viney at her email ceogiit@gmail.com. GREAT Foundation was born in the classrooms of IIT Bombay. I had joined the HSS Department in 1974 to teach English. Aged 24, I was no social worker; just another idealistic young person who had joined the teaching profession out of love for the vocation. My life’s mission was to teach and help students. I had no vision, not even a career path. Then things happened. The very first class I went to teach was that of SC/ST students selected into IITBombay on reserved entry as it was then called. Meeting the poorly clad students with stars in their eyes was a new experience. Until then I hadn’t even known that there was a class of people called the SCs and STs. 1973 was the first year that students in this category had been selected into an IIT. Their selection had been mandated down to zero marks in the JEE by the Indian government eager to turn the wheel of caste inequality full circle, quickly.